Similar to beef brisket, roasts can be a tough meat if they are not cooked with care. Typically roasts are cooked inside a crock pot along with moisture in a low and slow method that allows the fat and meat fibers to break down over time and tenderize the meat. These same principles can be applied when smoking a beef roast if you get crafty with your preparations and cooking methods. This recipe calls for numerous ways to prevent this tough meat from drying out over the long period it takes to smoke the meat. By injecting your roast with beef broth, putting it in a foil pan along with some moisture, and basting it every hour, this recipe has all of the tricks that a grill master will need to make a tender and delicious roast. 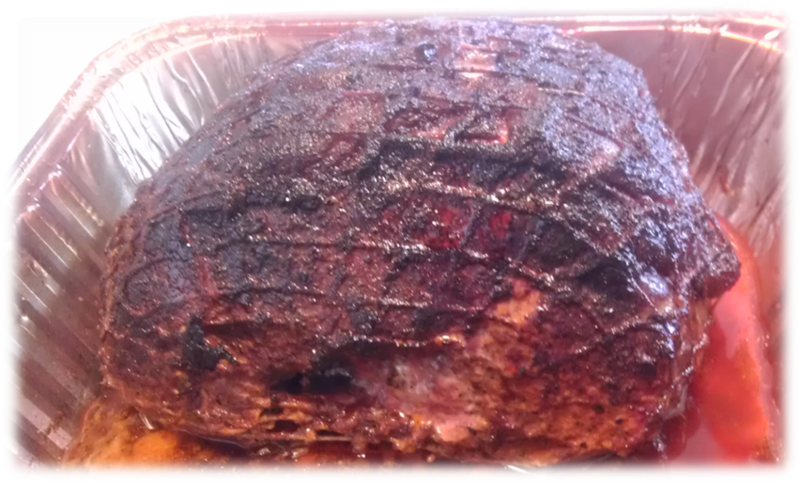 Light your smoker approximately 30 to 35 minutes before you want to start smoking the beef roast. The smoker should be a temperature of 225-240 degrees. Grab your injector and fill it with beef broth. Inject the beef broth all the way throughout the roast. The broth will add liquid and salt inside the roast to help lock in the moisture while it is being smoked. Coat the roast with garlic, onion, and salt and pepper. Lay your roast inside the foil pan with the fat side (white side) of the roast up. Pointing the fat side up will allow the fat to melt down into the meat while it is cooking, further seasoning and tenderizing the meat. Fill the foil pan with the rest of the beef broth and a can of beer. Similar to crock pot cooking, this will add moisture and help keep your roast from drying out. Baste the roast every hour with the drippings and moisture contained in the foil pan back on the top of the meat. Check the smoked beef brisket's internal temperature every hour after it has been on the smoker for 3 hours. It will most likely take about 4-5 hours, but you are looking for an internal temperature of about 150-155 degrees Farenheit before you can take it off the smoker. Once you take your beef roast off the smoker, wrap it in aluminum foil and let it rest for 20 minutes. Never ever cut into any meat straight off the grill while it is still hot. This 20 minute period will let the meat relax and the juices will redistribute from the center back throughout the entire piece of meat. Once your beef roast has had a chance to cool off the smoker, you will be tasked with cutting it into strips for serving. While this may seem like a simple task, it is really important that you slice the meat against the grain. Look for the lines in the meat that run all the way from one side to the other. Then slice the beef roast with a knife in the opposite direction as the grain. 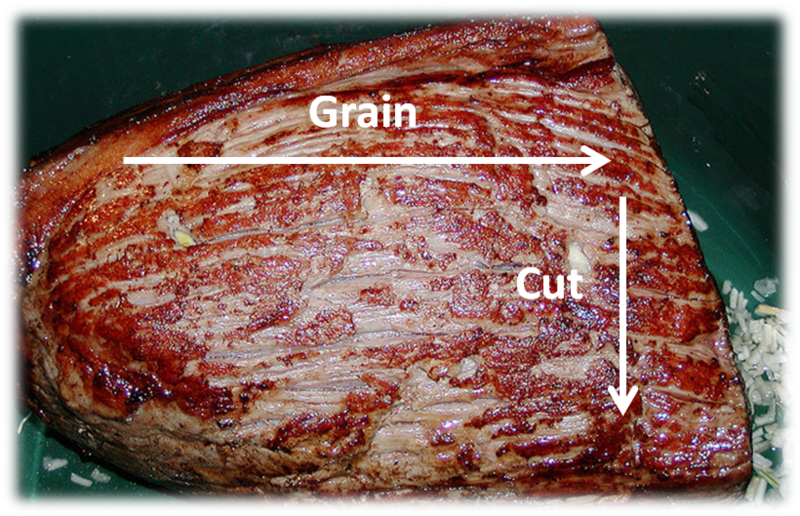 Using this method of cutting you break up the strength of the muscle grain into smaller pieces instead of just cutting grain after grain as a slice of meat. This will make your beef roast much more tender and less chewy.